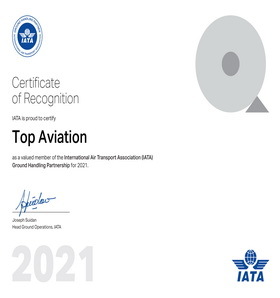 Top aviation, a subsidiary of Travco Group Holding, was established in the year 2003, founded to provide its customers with a full range of solutions for ground handling. Its scope of services includes representations before the Civil Aviation Authority, obtaining the necessary traffic rights, negotiating airport slots, arranging for and supervising ramp handling, crew transportation and sightseeing tours, baggage tracing using World tracer System, providing discounts on fuel and catering, preparing meteorological documentation and aeronautical information, arranging V.I.P immigration assistance including the V.I.P lounge, assist and negotiate handling contracts and measuring quality and relevant costs for handling, performing computerized passenger handling including load control. Top Aviation’s strategy is built around offering highly personalized service to its clientele. Integral to this approach is the careful selection of staff, through training in promptly adapting to clients’ requests, and in-depth support for more difficult requests.The ever-growing competitiveness of the aviation industry is quickly resulting in an increasing need to satisfy customers’ demands for top quality. Top Aviation’s employees are steadfastly committed to providing the expected level of excellence with responsive services at a competitive price. It goes without saying that safety is of the greatest importance, therefore Top Aviation strives for nothing less than the most stringent safety standards of the Aviation Industry. Top Aviation’s management team has been formed to allow partakers in today’s competitive environment to fulfil their need to be cost-conscious and service-oriented, professionally and successfully. Top Aviation seeks to provide its clients with perfect performance, a reliable partner, efficient cost control, transparency and trust while saving the clients’ valuable time for more important tasks.